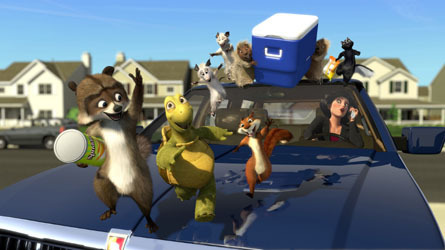 Over The Hedge. . Wallpaper and background images in the Over the Hedge club tagged: over the hedge hammy verne rj. This lady needs to get a bluetooth headset.